Plot Summary: Facing the threat of the Qin State, danger seems to lurk within the Han State, which is known as the weakest out of the Seven States. Unknown to the Han Emperor, that very threat is the Great General of Han, Ji Wuye. Working under the Great General are the Four Fearful Warriors of Nightfall. Each four specialized in military, finance, politics, and espionage. In hopes of creating a new Han State, Quicksand was formed by Han Fei, the ninth prince of the Han. 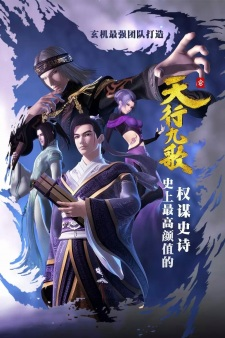 With Wei Zhuang, Zhang Liang, Zinü, and Nong Yu, they support the Prince in realizing the goal of Quicksand while being drawn into a whirlpool of power named “world”.